At ShopCondo.com, we use many marketing techniques to get your condo as much exposure as possible. With the combination of our new green business model & Web 2.0, we are able to effectively market and give your condo the exposure it needs to sell and still be able to pass on savings to you, the seller. This is something that was imaginable even just a few short years ago. ShopCondo has harnessed the power Web 2.0 and online tools/marketing techniques to deliver exceptional results. The Powerful web presence of ShopCondo.com is just the first step in giving your condo the exposure it needs to sell. The following are just some of the things ShopCondo.com will do when selling your condo and are included with every listing. Having a website just isn't enough in today's marketplace. Online real estate marketing is not only where things are heading, but is where things are at! The powerful online web presence of ShopCondo has been designed with condo buyers in mind (let's face it, they are who will be buying your condo), and what do people want ...listings! We made it easy for them to find ...just a single click in the area of your choice. Our immediate success has been phenomenal and is growing daily! Social Media has changed the face of real estate and is something that is definitely here to stay. If used properly, it gives people the power to expose things to thousands of people instantly. We effectively utilize the 2 largest social media platforms... Twitter & Facebook. Using these online tools are a great way to spread the word to potential buyers as well as other realtors for new listings, open houses, price reductions etc ...to get maximum exposure for your home! Have you ever looked on the MLS only to see 1 picture of the front of the property, or worse, no picture at all?...it can be very frustrating. Professional pictures have been proven to help sell a listing in a shorter amount of time. ShopCondo works closely with a professional photographer to ensure your home, and all its features, are showcased to its full extent! We are taking photos to the next level and really giving potential buyers the ability to see your condo as if they were in it themselves! This guarantees that prospective buyers that come to take a look at your condo are already very interested as they already know the look and feel of it. This eliminates people walking through your front door and realizing it's not for them, thus wasting everybody's time and efforts. ShopCondo.com is the first and only condo website in the Fraser Valley to feature Google Street View incorporated into every listing making it even easier for buyers to get a feel for your building & surrounding neighbourhood! Craigslist is ranked about the 36th best site in the world currently as far as web traffic is concerned and is an excellent place for added exposure for your condo. ShopCondo uploads your condo for sale to Craigslist and other sites, such as ZooCasa, on a weekly basis. In the age of web 2.0 and online advertising, which we are hugely into, print media still plays a role in the Fraser Valley Real Estate Market and definitely gives you additional exposure when selling your condo. This is the only print media that we do in our efforts to be as green as possible, and of course it is done all on 100% recycled paper. At ShopCondo we know that having both the buying and selling realtor at showings has its benefits, but its not the greenest way (2 cars or possibly 3), that's why we have decided to only use lockboxes. This is one of the larger reasons we can ultimately put more money in your pocket and charge a smaller fee. Of course when setting up a showing we discuss all the benefits and features over the phone with the buyers agent just as we would in person. Rest assured, no one will ever be in your home without a licensed Realtor. Lockboxes are used by many other real estate professionals in the industry as well, yet their rates simply cannot compete with ours. We ask the question, what are sellers getting for their money? *If personal showings are important to you, it can definitely be discussed at the listing consultation. Your condo will of course will be posted on MLS.ca & Realtor.ca the next business day after the listing is taken. Not only will your condo be listed, but we will also update you frequently with how many people are actually viewing your condo online! Over 90% of people use the internet and the web to start their real estate search or to locate a real estate agent. A great web presence is extremely important to effectively market your home to this massive group of buyers. 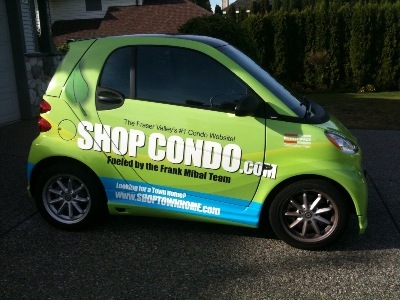 www.FrankMihal.ca is the highest ranking realtor website in the Fraser Valley. What does this mean? Simple. More traffic and more visitors looking at your home for sale! Exposure to the most amount of people is the key!